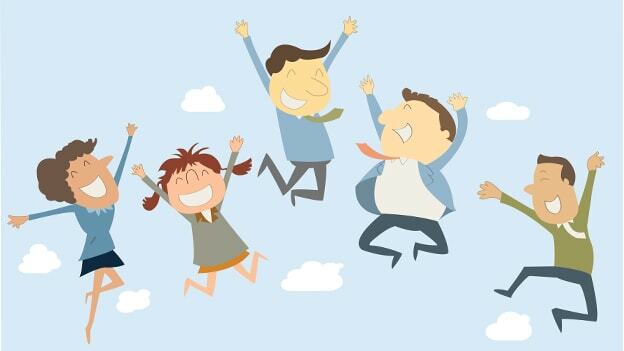 How do happy employees bring happy customers? How to make employees happy at work? Read on to find out. Every established organization and company in the business world will swear by one particular aspect – quality customer service. It is pivotal to building a loyal customer base and further expanding the horizons of one’s business. However, do you know the secret behind excellent customer service? It is a satisfied and a happy pack of employees! The ultimate aim of a business is to make a strong presence in the market and create a comprehensive and loyal customer base. This is only possible when your customers are happy with the service you provide and hence, they keep coming back to you. A relationship is formed between your brand and the customers and, it is based on mutual trust. Sure, it cannot be built in a day, but wise efforts in the right direction go a long way to get you a lot closer to your aim. Customer service is a great influencer of customer behavior. When you provide excellent customer service, always making efforts to resolve their issues and frustrations promptly, you not only retain your customers but also make new customers. As your satisfied customers begin to talk about your brand, be it the word-of-mouth or on social media, it will naturally drive in more potential clients your way. So, in a way, your customers become your brand advocates, generating expansive prospects for your business. How do employees play a pivotal role in building your brand? Your employees are the people who give voice and coherence to the day-to-day activities of your organization. It is they who work to build a strong foundation for your company that can withstand the adversities of the market. They represent your brand. And for them to give their best service, they need to feel their best in the workplace. It is only when they feel valued and are appropriately guided and lauded for their efforts, that they can deliver their best performance. This is the era of branding and brand is defined by a company’s actions rather than its words. A team of employees is fundamental to optimizing the actions of a particular brand that will eventually speak louder than words, steering the crowd towards it. No matter how much you invest in the right marketing and advertising strategies, if your team fails you, you just cannot thrive in the cut-throat competition. All the successful companies are known to promote a strong company culture. Behind their massive success lies a team of dedicated team of employees. A strong brand is built on strong talent. Employees who feel satisfied and happy at their workplace are likely to work harder and be more engaged with their work. Numerous studies have proved that organizations having a high employee engagement score have much higher productivity than those companies who fail to nurture their employees. One of the finest examples of the importance of employees to a brand is Michael Eisner’s description of a brand as a picture painted in the pointillist style (a technique where an image is created out of the patterns made out of small dots). In his description, the employees together make up the ‘artist’ who is guided by the principles of the brand. The picture will be colorful and bright only when the artist - in this case, the employees – is inspired, whereas it is bound to be a dull one when the artist feels disconnected from his art or is unenthused. A brand similarly, is an image created out of thousands of small dots. How can you build a healthy work environment to keep your staff happy and boost their productivity? Your employees need to know how well they are doing in their respective fields. Providing consistent feedback to them is vital in both nurturing their skills and highlighting the areas that need improvement. When you communicate with your employees, they feel connected to you and their work, which helps boost their productivity. Praise them for their accomplishments and guide them when they make mistakes. Instead of shouting or scolding them, it’s better to talk to them and understand their problems. This will help you guide them to perform better. Simultaneously, you should also have a system in place to receive feedback from your employees about their work, about their co-workers and their seniors. It is essential to let your employees know that you care about them. A simple pat on their back when they do good, or flexible work hours for them when they are facing difficulties in their personal life, or just a warm smile would show your employees that you genuinely care for them. It is much like the Hawthorne Effect. When your employees see that their efforts are observed, they will strive to do better. Just as it is essential for an employer to maintain close communication with his employees, so, it is also vital that the employees maintain a healthy communication among themselves. When your employees can voice out their individual opinions with each other, they can function better as a cohesive unit. Encourage them to engage in brainstorming sessions which will not only result in fruitful ideas but also will give your employees a feeling of ownership with the company. As the saying goes, “All work and no play makes Jack a dull boy,” so is the case with your employees. Working every day, without breaks can be not only very stressful but also quite monotonous. Make it a point to treat your employees with occasional breaks such as a fun day out with the team to an amusement park, or a picnic and so on. When the work environment is cool, the work feels less like a burden and more fun! There is no limit to learning. Encourage and motivate your employees to learn new skill sets to facilitate their overall personal growth. Provide them access to advanced training and educational courses, so that they can learn new things. This way, they will be motivated to come to the workplace not just to do their jobs, but to learn and polish their skill sets. Arindam is currently heading Marketing and Long-Term Strategy at Atomberg Technologies, a fast-growing startup aiming to disrupt the world of household appliances.He has 18 months of work experience as a Management Consultant, working for Cognizant Business Consulting in the Insurance Vertical.